ReachMD Announcer: You are listening to ReachMD, the channel for medical professionals. 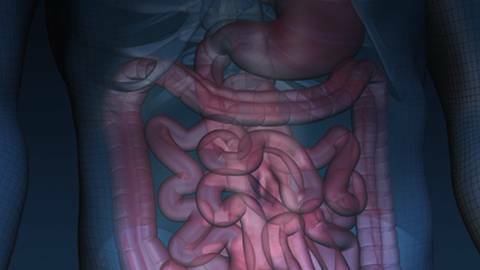 Welcome to GI Insights, where we cover the latest clinical issues, trends, and technologies in gastroenterological practice. 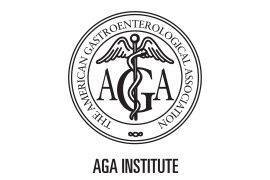 GI Insights is brought to you by AGA Institute. Your host for GI Insights is Dr. Jay Goldstein. Dr. Goldstein: I am your host, Dr. Jay Goldstein, and joining me today is Dr. Douglas Drossman. Dr. Drossman is from the Drossman Center for the Education and Practice of Biopsychosocial Care and a Professor Emeritus of Gastroenterology and Psychiatry, Center for Functional GI and Motility Disorders, the University of North Carolina at Chapel Hill. Today, we'll be focusing on IBS and functional GI disorders. Welcome Dr. Drossman. Dr. Goldstein: Doug, tell me something, what is a functional GI disorder? Dr. Drossman: That's a definition that has been changing over time. I think in the old days a functional GI disorder was thought to be something psychiatric or you couldn't find something, it wasn't organic or structural, and nowadays with the knowledge of neurogastroenterology and brain gut interactions and physiology, we mean a disorder of GI functioning. It's really abnormal functioning, and that abnormal functioning can be in terms of motility, in terms of the sensitivity of the gut—what we call visceral hypersensitivity—and in terms of brain gut interactions or how the brain might affect the gut or not affect it. Dr. Goldstein: So it was always there, we just didn't recognize it. Dr. Drossman: GI symptoms have been around forever. It's only in the last 25 years or so we started to categorize it and give criteria for it. Dr. Goldstein: I see. Who gets these disorders? What's the epidemiology? Dr. Drossman: It's pretty universal. There have been lots of surveys. If you talk about IBS as the main one, it's roughly around 10% of the population in most countries when studied. It tends to be a little bit more common in women than men, but one of the interesting things is that when you look in the doctor's offices, there are more women and that might be more because women are more likely to go to the doctor for these complaints. Dr. Goldstein: If they don't go to the doctor, do they still have IBS? Dr. Drossman: Well, we know that about half the people with IBS don't go to the doctor. We’ve learned that from epidemiology surveys. So who goes to the doctor depends a lot on how severe the symptoms are, how people have been conditioned or trained to go to the doctor, and cultural factors. We know, for instance, in India, more men go to the doctor than women, and that may be a cultural influence. Whereas in the U.S. or in Western Europe about 3 to 4:1 women to men, but if you do a survey, it's more like 3:2. Dr. Goldstein: Is there an age distribution to the people who present with IBS symptoms? Dr. Drossman: It's hard to know; it's pretty universal. I think as people get older, they may not report the symptoms as much or it shifts into patterns like chronic constipation, but I've seen people in their 80s and 90s who have IBS. However, usually it's younger in life when in 20s and 30s when people are more likely to go to the doctor for it. Dr. Goldstein: Is this a chronic problem; is it an acute problem; does it come and go? Dr. Drossman: Yes to all. I mean I think that what IBS or functional GI disorders are, are an increased sensitivity of the bowel in terms of motility or visceral sensation to stressors: it could be dietary, it could be physical activity, and it could be stress. And this can vary from someone who gets this maybe once or twice a year as an episode, is someone who has it all the time, and we make that distinction between mild, moderate, and severe based on how intense the symptoms are and how much they're occurring. Dr. Goldstein: Very interesting. When you suspect someone has IBS, what do you do to diagnose it? Dr. Drossman: Well, you know a lot depends on where you are in the healthcare setting. Primary care may deal with this different than gastroenterologists, and very often primary care docs will refer them up. I mean, if you look at primary care, they're often more inclined to look at the predominant symptom and treat it. Gastroenterologists tend to look at this in a syndromic way, and what I mean by that, it's not that they just have diarrhea or constipation or pain, but they've got a collection of symptoms, what we've called the Rome criteria, where you have abdominal pain, but that abdominal pain may be altered with diarrhea or constipation. So you get abdominal pain and then that may lead to looser stools or harder stools. When you have that syndrome, you're usually diagnosed with IBS, but it doesn't stop there because, as you know, these symptoms are so common there could be other diseases. So generally, at a minimum, the workup might be if this is someone who has these symptoms on a chronic basis—now we're not talking about a student before an exam getting cramps and diarrhea—but if someone has had this on a repetitive basis for a period of time, several months, you'd probably do a colonoscopy because that's really going to be the best way to exclude conditions like inflammatory bowel disease. Dr. Goldstein: I see. Is the workup age-dependent? Dr. Drossman: Well, in a sense. When you're over 50, your guidelines for colon cancer and polyps come in. At a younger age, you may use some discretion as to whether you want to do it based on how severe the symptoms are and what you call red flags. Now, when you presume a diagnosis of IBS, there are some red flags that you look for, and if those are positive you're more inclined to work them up further—blood in the stool, abnormal physical finding, if they had weight loss, family history of inflammatory bowel disease—if any of those are present, you're going to be more inclined to do the colonoscopy or other studies. There are some blood studies you would want to consider; there is the question of celiac disease, particularly in Northern Europeans or people from Northern European descent or Irish celiac disease could be as much as 1 or 2% of the population, and if you're presenting with these kind of symptoms, particularly the diarrhea, you want to do some screening like a tTG test and maybe confirm if it's positive by upper endoscopy and biopsy. Short of that, there aren't a lot of studies. I mean, primary care docs could do a CBC, do a CMP, but if the person fulfills the criteria, they're young, they're otherwise healthy, it's just as prudent to just treat them and follow them, and then in most cases things will get better. Dr. Goldstein: If you're just tuning in, your listening to GI Insights on ReachMD. I am Dr. Jay Goldstein, and I am with Dr. Douglas Drossman. Dr. Drossman is from the Drossman Center for Education and Practice of Biopsychosocial Care and Professor Emeritus of Gastroenterology and Psychiatry, Center of Functional GI and Motility Disorders, University of North Carolina at Chapel Hill. Well let's get to the major question that many people have and that is how does IBS and functional disease impact quality of life? Dr. Drossman: It can be considerable. Again, we get back to the question, is it mild, moderate or severe? There are some people who have occasional upset stomach and diarrhea or constipation, and they kind of self treat. But in those patients with more moderate to severe, it can affect quality of life, it can be associated with sleep disturbance, it can be associated with anxiety and depression, and it can lead to work absenteeism. It was thought to be second to the common cold in terms of work absenteeism, and in a study we did back in 2009, where we were looking at what we called the trade off utility assessment, we found that patients would be willing, who have moderate to severe IBS, to give up 15 years of their life to be in perfect health. That's just a measure of how severe those patients are. Now that's the maybe 10% of patient with IBS. Most people have mild to moderate disease, but it can get severe. Dr. Goldstein: Well let's turn to treatment. There are several treatment approaches you can do—patient education, medications, counseling—why don't you go through some of them and tell us a little bit about how you prioritize them? Dr. Drossman: I think you've got 2 domains that you want to look at. One is, what is the predominant symptom, and the other is, how severe are these symptoms? Now, again, we talked about IBS in general, but when you look at a cohort of people with IBS, some of them have diarrhea predominance, some have constipation, and some have a mixed pattern. So if you're having someone with diarrhea predominance, you're going to be using agents to tone down the diarrhea and probably reduce the pain. So loperamide might be a first start, but loperamide has not been shown to help the pain. So if they have pain, sometimes you could start, as a primary care doc, with an anticholinergic or antispasmodic, such as dicyclomine. Those are good for mild patients; patients who maybe get symptoms after a meal. If you have more in the way of pain, some patients are put on tricyclic antidepressants because they can help for a variety of painful conditions and tricyclics also slow down the diarrhea. Now moving on, one of the newer types of agents to come out is the use of antibiotics because there is a lot of work, particularly in the IBS diarrhea, where we're seeing that these people may have altered gut microflora. Used to be thought to have bacterial overgrowth; we know that's not the big thing now. It's more that there is a replacement of good bacteria by bad bacteria, and so antibiotics, and the one that has been used a lot is called Rifaximin, is an antibiotic that is nonabsorbable, and in a good 30 or 40% of people you can get a meaningful response, and that can occur for several months even though it's a 2 week trial. Another agent that you could look at are ones that block serotonin, the one out is alosetron. Alosetron is a 5-HT3 antagonist and that can reduce pain and diarrhea. There is a newer agent that might be coming out; it's been approved, called eluxadoline with more complex safe opioid, so to speak, that will have probably some qualification, but that agent is for IBS with diarrhea. Now, if you have more constipation, you can try fiber, but fiber doesn't help the pain. You can try MiraLax or PEG solution, but then the newer prescription agents would be lubiprostone or linaclotide that are chloride channel agents, which may have benefit in terms of not just the constipation but also some of the pain as well. I think those are the main ones, but then we may want to get into the whole concept of stress and what you might want to do about that. Dr. Goldstein: Okay, let's do that. Dr. Drossman: Okay. So, remember I said that it's an increased reactivity of the gut, well in some people who have the more severe, they have more psychologic comorbidity. Some of these patients have had major psychologic events, they might have posttraumatic stress or anxiety or depression, and those patients may get a stress response, where they get into a stressful situation and their gut really responds. Some of these patients can have diarrhea, vomiting all at the same time. That's a very big response and that's where we're looking at ways to treat stress response by psychologic intervention. The ones that have been used the most would be cognitive behavioral therapy, hypnosis, stress management, and mindfulness meditation. All of these give the patient a better sense of control when a stressful event occurs, and when they feel a better sense of control, their gut doesn't react as much. I should also say that the condition can cause the stress. I mean, patients who have diarrhea are afraid to leave the house; they don't want to go out socially. Young men and women may not want to date, and that's another reason because the condition itself is leading to a feeling of helplessness and lack of control, and that's where the psychologic treatments may work. Our practice, where we deal with more severe patients, we might use other kinds of medications borrowed from psychiatry, like duloxetine for pain or other types of psychotropic agents. Dr. Goldstein: Let me change the subject here for a second. When I see these patients the 2 most common questions are, should I go on a probiotic and what alternative meds are available to me? Dr. Drossman: So probiotics have been around actually a long time. They came out decades ago for digestive health and they're based on the premise that there are good bacteria and bad bacteria, and it's been extrapolated into conditions like IBS and IBD. For instance, IBS patients have a lower proportion of good bacteria, like Bifidobacter and a higher proportion of bad bacteria like Firmicutes, and so the concept of taking probiotics that contain good bacteria is a reasonable one. So it's been around and I would say can be of some value in the milder forms because there are 108 bacteria in the colon, and you're taking a few pills, but there are a couple of studies that show some benefit. So I think it is perfectly safe, and I don't think there is any harm, and it could be helpful. In terms of other factors, a complementary medicine, herbals. There was a study about 20 years ago that showed benefit for herbals. There are studies that have shown benefit for acupuncture. Other studies have not shown the benefit. And I think one of the hardest things to deal with when you're dealing with complementary medicine is you're often doing it in conjunction with other treatments. These conditions have their variability and the belief the person has with the treatment can have a profound effect on how that person does. As a clinician, if a person believes that they want to take a certain medication and I don't find it harmful, whether it's complementary or herbal, I'll go along with it because it's only adding to the sense of control the patient feels they have in choosing what they want and getting benefit from it. So, I would say that the jury is still out on a lot of these treatments in terms of standardized controlled trials, but on the other hand, if it works, then go with it. Dr. Goldstein: I think we could spend a lot of time talking about this topic even further, but our time has run out. So I am going to thank you very much for your insightful comments, your patient-oriented approach to functional bowel disease, and I wish you a good day. Dr. Drossman: Thank you. Glad to be here. Dr. Goldstein: I am Dr. Jay Goldstein, and you've been listening to GI Insights, produced in partnership with the AGA on ReachMD. Be sure to visit our website at ReachMD.com/AGA featuring podcasts of this and other series. Thank you for listening. Host Dr. Jay Goldstein discusses the latest in IBS & Functional GI Disorders (FGIDs) with guest expert Dr. Douglas Drossman of the Drossman Center for the Education and Practice of Integrated Care. Dr. Drossman is Professor Emeritus in the departments of Gastroenterology and Psychiatry at the Center for Functional GI and Motility, University of North Carolina at Chapel Hill.